Contrary to what you might think, Dollar Tree might not be the best option when it comes to candy for trick-or-treaters. You just have to check unit prices. The packages they sell are small and unit price is usually not better than other retail stores and sometimes it can be worse. But always check just to be sure. 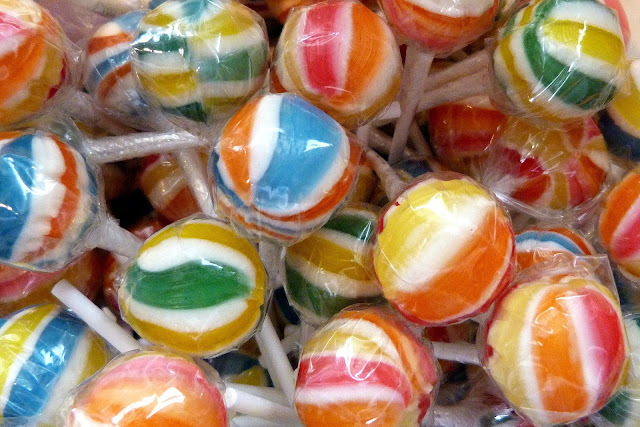 Lollipops - Even a bag of name brand Tootsies or Blow Pops will pack a better deal than chocolate bars. And the kids who visit your house will still be pleased! Tootsie Rolls - These have all the yummy chocolatey taste without the big price tag. Smarties - Not my favorite, but most kids like them. Candy Coupons - Watch the paper for some good candy coupons. I have had good luck saving money at CVS when I wanted the more expensive candies like M&Ms or Snickers bars. While none of these ideas is going to win you the health nut award, they might be a better option if you are looking to either keep the sugar low or the artificial colors to a minimum. Pretzels - Each year you can either find small bags of Utz or Snyder's pretzels in the seasonal section at Walmart or BJ's Wholesale. Dollar Tree also sells small packs of pretzels that could be distributed. Organic lollipops - I often see these at places like Marshall's. They can also be ordered online at Vitacost. Granola bars - you can buy the generic ones for a good price at Walmart or your local grocery store. If you are looking to keep the sugar and artificial stuff out of the house altogether, here are some options for you. 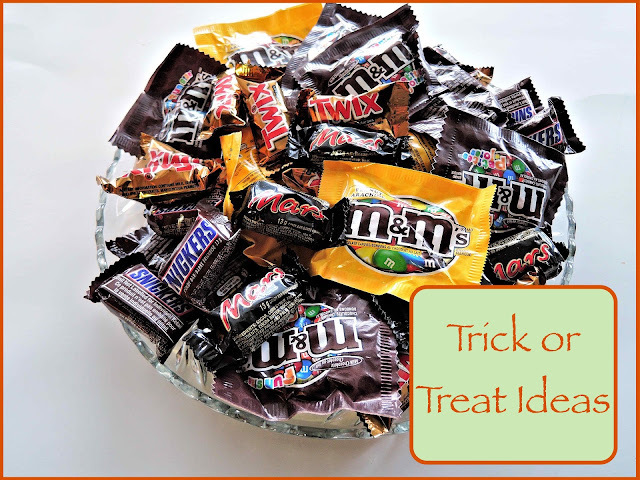 The glow sticks probably have the highest fun factor when it comes to non-candy options, but there are other things you can opt for as well. Glow sticks - You can find them for around $10 for 100 on Amazon from various sellers. Tattoos - These can often be found at Dollar Tree and Oriental Trading for a good price. Mini bubbles - Dollar Tree sells packs of 8 for $1 in the wedding section. Depending on the year you may even run into some Halloween themed bubbles. Also, through oriental trading this year, you can get 48 jack-o-lantern bubbles for $6.50. Toothbrushes - Absolutely joking on this one! You better watch out for eggs if you opt for this! 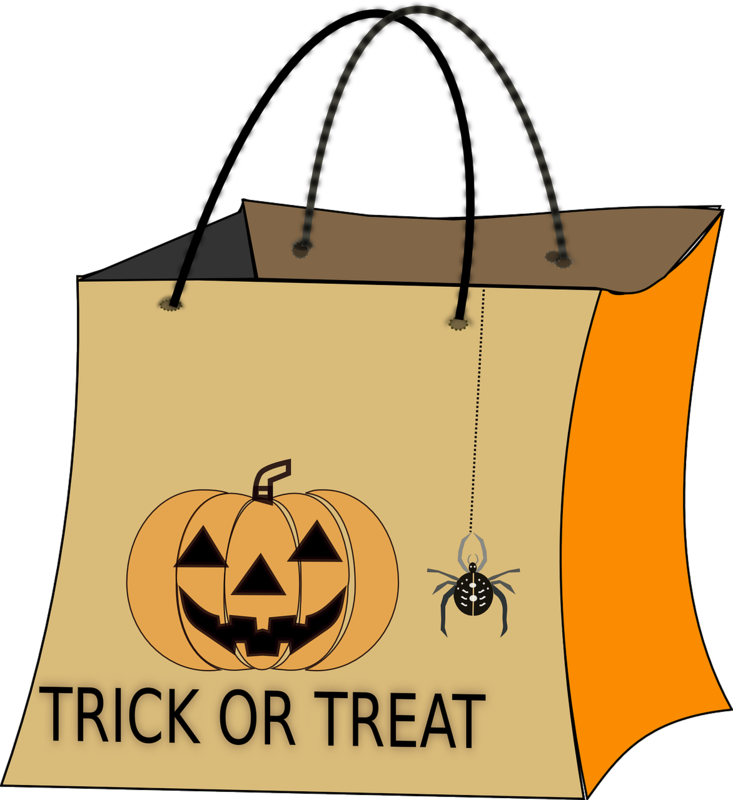 Hope you have a fun Halloween and here's to some great Trick-or-Treating!